Come enjoy the fall foliage at Mt. 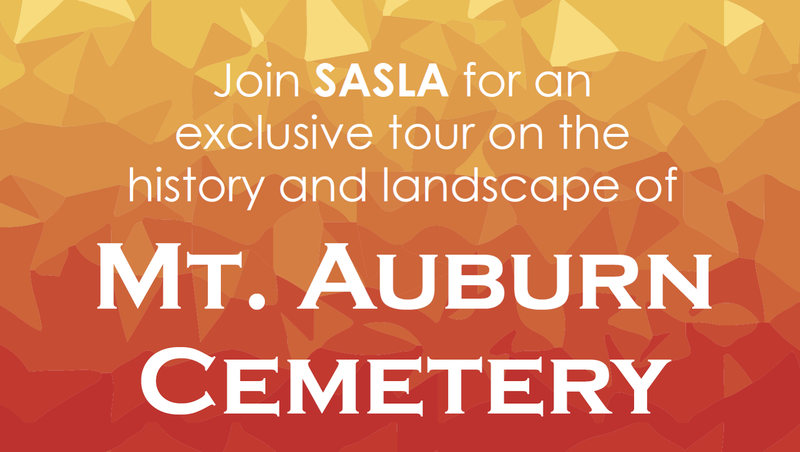 Auburn Cemetery through an exclusive (FREE) tour of the cemetery on November 6th at 4-6pm hosted by student group SASLA! We will learn about the history, landscape and recent Master Plan process, as well as its influence on the parks movement and cemetery design in the US. We will have free snacks and refreshments, and are willing to assist with transportation to the site. Please contact SASLA at sasla@the-bac.edu for details, questions and to RSVP.